I wanted a Clarisonic. Then... I saw the price tag. Whoa. I wasn't entirely convinced that any thing special was going on with this thing, other than the bristles rotate and vibrate. After some research, I was left undecided about whether I wanted to put down that much money to try out the little contraption. 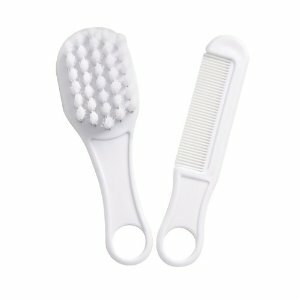 I was unable to locate any scientific study that compared the Clarisonic to other motorized brushes, or even manual brushes. Instead I got a baby brush (the cheapest comb and brush set they had, and it has a big hole on the handle end, so it is convenient to hang up to dry in the shower). It cost about $3 at Wal-Mart. The results are amazing. 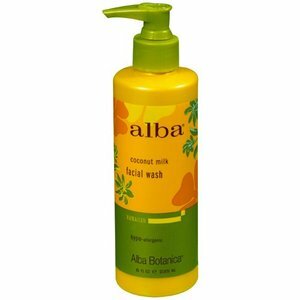 After one week of use, it has completely cleared out blackheads and congested-looking pores. I also noticed smaller pore size. Then, I got lazy and didn't use it for a few weeks. My pores slowly became congested and blackheads started to re-appear. I'm now back on the wagon, and my blackheads are disappearing once more. 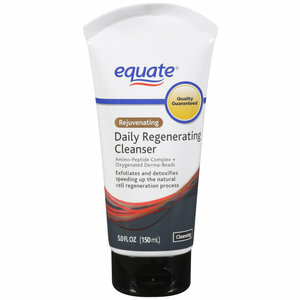 Then, with damp skin, I smooth a large dollop of the Equate cleanser over my face. Next I wet the baby brush and start gently scrubbing my face in small circles with the brush. After I scrub each section of my face, I rinse the brush and move on to another section of my face. The reason I do that is because I read accounts, during my research, where people were spreading their acne over their face because they weren't washing their brush. Because that information is anecdotal, take it for what it's worth. I figured that it couldn't be a bad idea to rinse off any dead skin, makeup, and other nastiness rather than spread it all over my face. After I have scrubbed my entire face, I wipe my face clean with a clean, wet washcloth. Next I remove any lingering eye makeup. 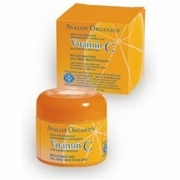 Avalon Organics Vitamin C Rejuvinating Oil-Free Moisturizer (you can also find it at Wal-Mart and Target). I haven't tried a Clarisonic, but it is hard to imagine that it could do a better job.